Rick's Pocono Blog: Pocono Homes For Sale in 3 Get Away Communities! Wagner's Forest is a Private and Very Quiet Community located in Pocono Lake in the Pocono Mountains of Northeastern Pennsylvania. This is a Community for all of those Nature Lovers who are just looking to be Secluded in the Woods. The trees are HUGE! Homes in Wagner Forest are basically a forest inside of a forest. It is a Conservation Oriented Community Dedicated to Preserving the Natural Environment and Wildlife of the area. Parcel sizes average 2+ Acres. Wagner forest is conveniently located just off of Route 940 and is close to Route 80, Route 380, and The Pennsylvania Turnpike ( I476). Hickory Run Forest is a Quiet and Decorated Community that is very low key. It is Very Secluded and Woodsy located off of Route 903 in Jim Thorpe Pa. The Community also offers Amenities including a Clubhouse with Playground Facilities as well as a Lake. This Community has become home to commuters to the Lehigh Valley and Philadelphia Areas. It is also a quiet a secluded second home community to many folks just looking for that quiet, out of the way Community to take their families to on Weekends and Vacations to simply just get away from it all! This Community borders The Bethlahem Watershed with its Open Lands and Forests! Pocono Mountain Lake is another small and tucked away Lake Community surrounded by Pa State Gamelands and just a hop, skip, and a jump away from I80 and I476. It is Located just off of Route 940 in White Haven Pa. 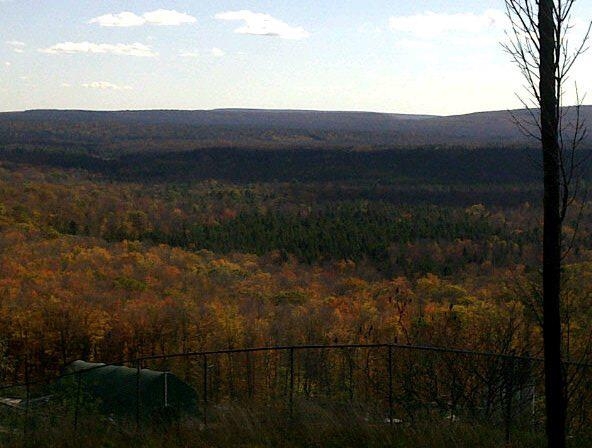 This Community is Perfectly kept off the radar and is one of the most Private Communities in the Entire Pocono Mountains! Pocono Mountain Lake is passed by everyday by hundreds of passerby, most of which don't even know that the Community exists! The Lake is small (6 Acres) but it is very special to the Community with its small time private routes. This Community is the Perfect getaway and is very well hidden!